A major gun-violence prevention group has pledged to fight against a National Rifle Association–backed national concealed carry reciprocity effort and against pro-gun candidates in the 2018 midterm elections, as gun-safety advocates work to adjust to a Republican-controlled White House and Congress. Related: Guns in America: What is national concealed carry reciprocity? The group, Everytown for Gun Safety, was created by former New York City Mayor Michael Bloomberg in 2014 to rival the NRA and motivate elected officials to enact laws at all levels of government to curb gun violence. National reciprocity would require states that issue permits allowing gun owners to carry concealed weapons to recognize such permits from other states. Since the beginning of January, federal lawmakers in both the House and Senate have introduced bills pushing for national reciprocity, which has long been a priority for the NRA. Lawmakers in previous congresses have introduced similar measures, but those failed to get out of committee. Now, the measures stand a better chance of becoming law under President Donald Trump—who has publicly supported national reciprocity—and with the GOP controlling both the House and Senate. Through their new campaign, first reported by Politico Monday morning, Everytown and Moms Demand Action for Gun Sense in America vow to activate their more than 3 million supporters in all 50 states to call and write to their elected officials, and to show up at town hall meetings to hold lawmakers accountable for their votes on gun legislation. They are calling on their supporters to invest financially in this campaign at least through the 2018 elections. 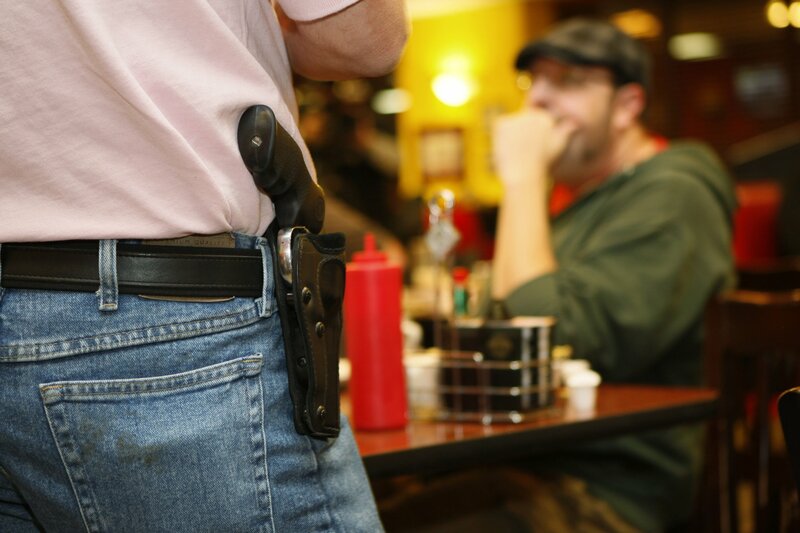 All states and Washington, D.C., allow concealed carry in some form. 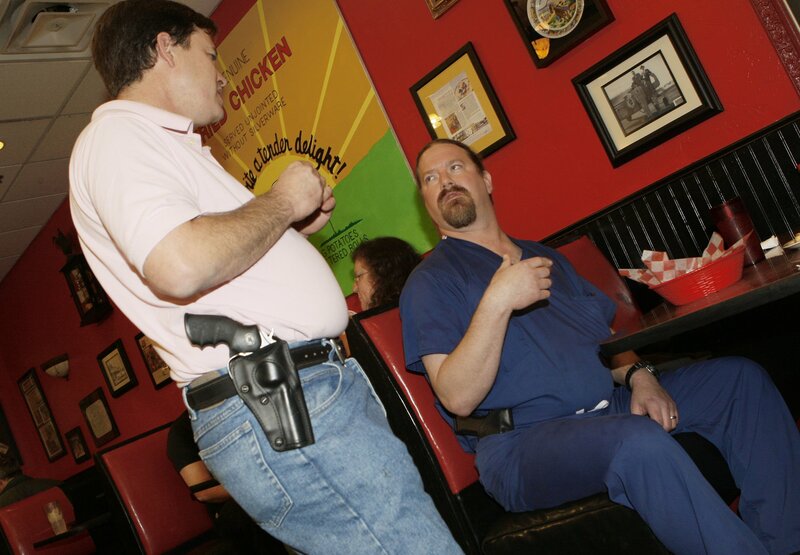 Thirty-eight states generally require a state-issued permit to carry concealed weapons in public. The remaining 12 (Alaska, Arizona, Idaho, Kansas, Maine, Mississippi, Missouri, New Hampshire, North Dakota, Vermont, West Virginia and Wyoming) don’t require a state government permit. Less than three weeks ago, North Dakota became the 12th state to allow for permitless carry, which is also known as constitutional carry. Similar bills are now making their way through a number of other state legislatures. 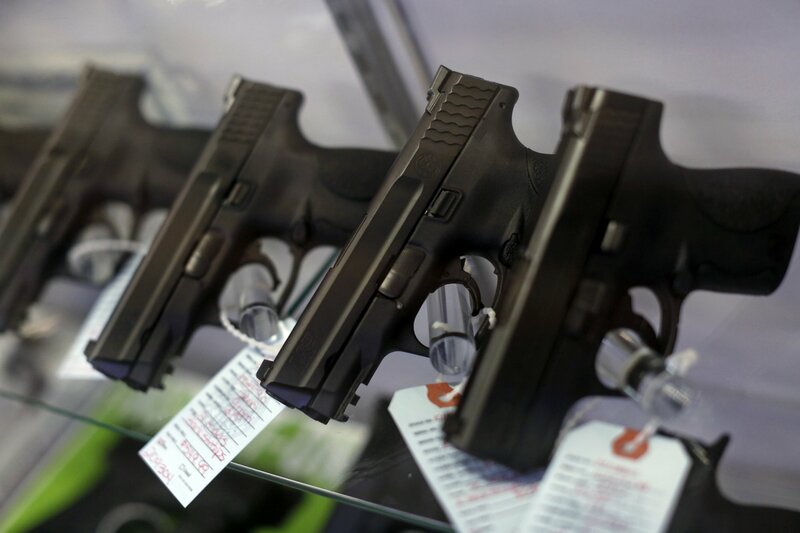 Proponents of national reciprocity say it would make concealed carry permits more like driver’s licenses, while critics argue it would enable the least restrictive requirements to apply to the entire country, thus undercutting the most stringent laws in some states. Since its creation, Everytown largely has focused its efforts on the state level, and it also poured millions of dollars into gun-safety ballot initiatives in the November presidential election: It scored victories on the expansion of the criminal background checks system in California, Nevada and Washington state. Everytown reminds other elected officials that, as part of its $25 million in spending during the 2016 election cycle, the group repeatedly brought Republican Senator Kelly Ayotte’s 2013 vote against a background checks bill to the forefront of the conversation in New Hampshire. 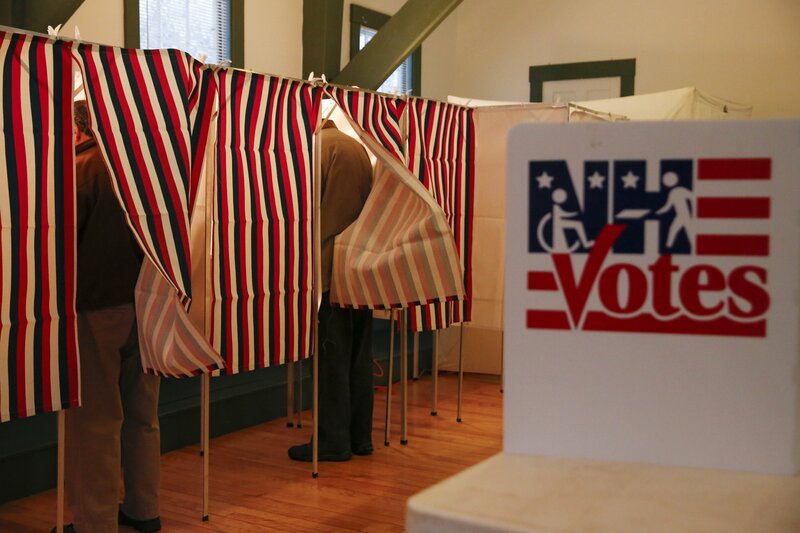 That vote had come in the wake of the December 2012 Sandy Hook Elementary School shooting. Ayotte, the incumbent, in November lost narrowly to the Granite State’s governor, Maggie Hassan, in one of the most expensive Senate races. 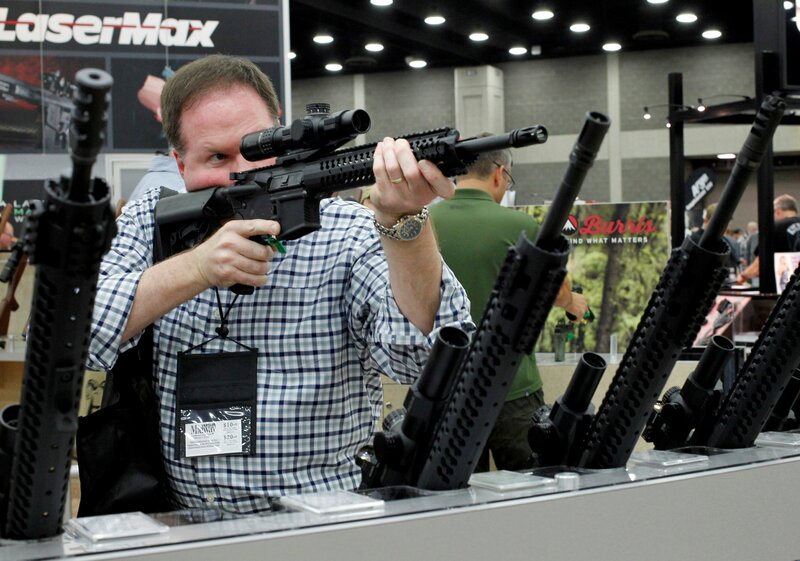 Meanwhile, as other conservative groups backed away from Trump’s candidacy, the NRA spent more than $30 million to bolster his presidential campaign. The organization endorsed Trump in May 2016, five months earlier than it had backed the Republican presidential nominees in 2012 and 2008, Mitt Romney and John McCain, respectively. A vital issue for the NRA was the 45th president’s selection of a conservative nominee to take the U.S. Supreme Court seat left open by the death of Justice Antonin Scalia. The Senate confirmed Trump’s pick, Judge Neil Gorsuch, who on Monday morning became a member of the high court after a ceremony in the Rose Garden at the White House. 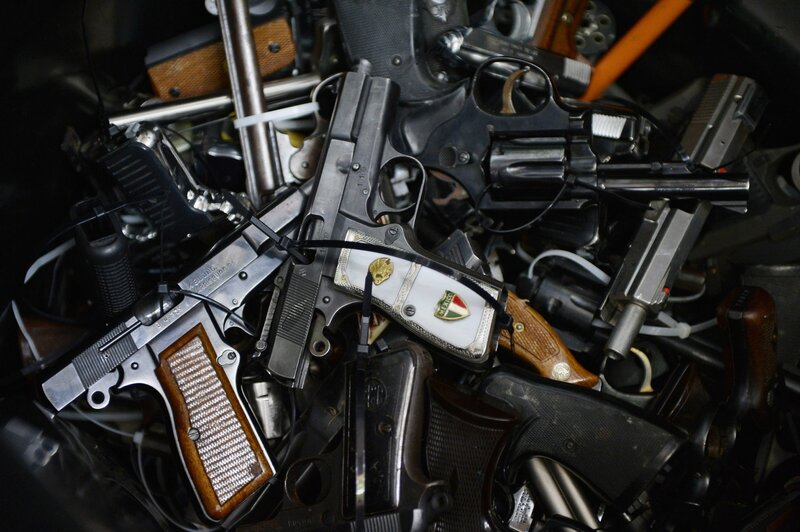 A Chance to Trade Guns for Bail in Baltimore?